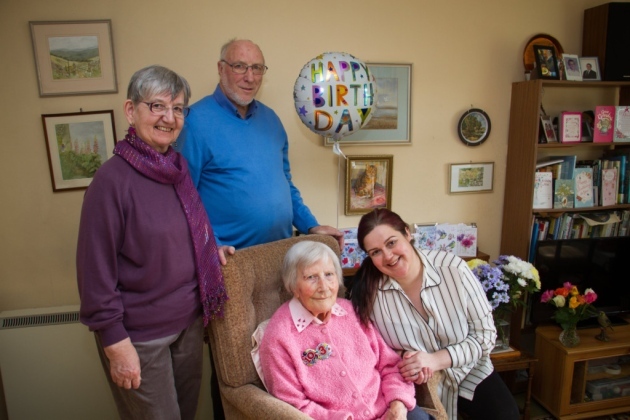 A Lympstone pensioner marked her 103rd birthday surrounded by family and friends. Doris Beattie was able to welcome members of her immediate family to her home, in Glebelands, to mark the milestone. Three year’s ago, Doris, who has lived in the village for 73 years, had a special party thrown for her at the Churchill Court Community Centre. On that occasion she was visited by the Lympstone parish councillors. Still going strong at 103, the former World War Two Red Cross nurse had tea and sponge cake to celebrate. Her son Roger Beattie said the celebration was lower-key event this time, which was enjoyed by all. Roger said: “It was just family. “She is more or less housebound now and it was an opportunity to have some tea and a bit of sponge with her. This story is from the Exmouth Journal of 17 February 2018. 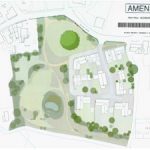 PreviousThe future of Lympstone Nursery.